As we look forward into 2018, a select group of leaders in Big Data have stepped ahead of the rest. 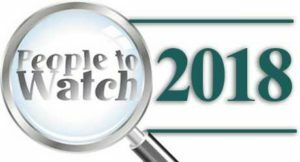 In this third annual People to Watch feature, we’re offering our readers a look at some of the best and brightest minds in Big Data whose hard work, dedication, and contributions reach far beyond analytics, and are shaping the direction that technology is taking us as a people. This is the cutting edge, and these are the people who are pushing the envelope.